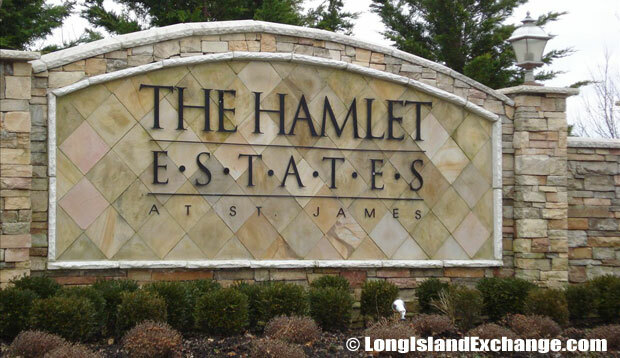 Saint James is a hamlet and census-designated place located in Suffolk County, on the North Shore of Long Island, New York. It is within the Town of Smithtown. 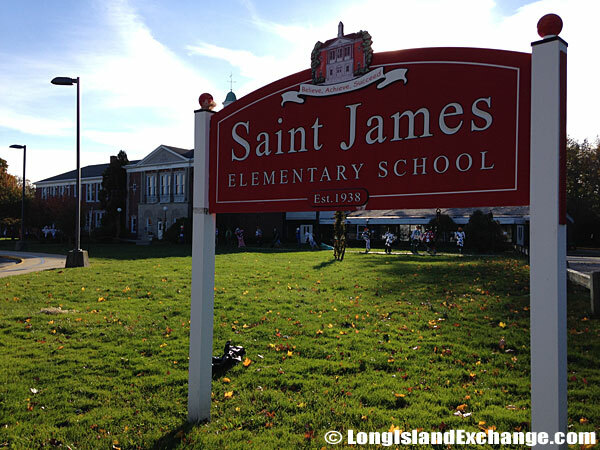 Saint James has more than exceptional schools, excellent shopping, fine restaurants, and historical landmarks. As of the 2010 census, there were 13,338 people, 4,535 households, and 3,395 families residing in the CDP. The median income for a household in the CDP was $90,132, and the median income for a family was $101,423. Males had a median income of $79,018 and only $58,103 for females. The latitude of Saint James is 40.878N. The longitude is -73.157W. It is in the Eastern Standard time zone. Elevation is 151 feet. 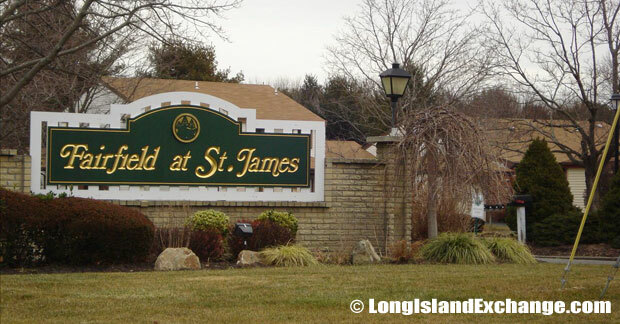 A sign welcomes visitors and residents to Saint James is a hamlet and census-designated place located in Suffolk County, on the North Shore. 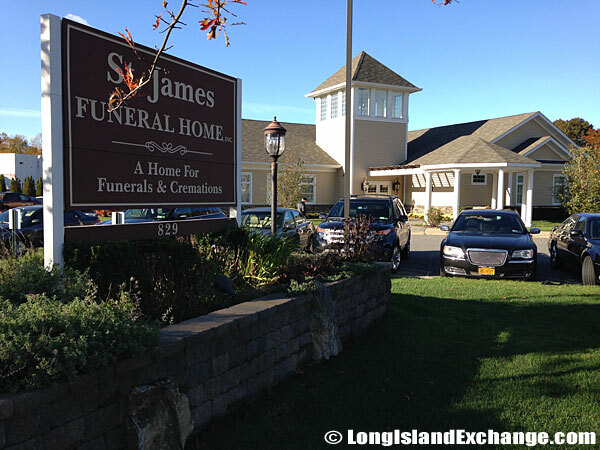 The Saint James Funeral Home, owned and operated by the Maher family of St. James. Fairfield Properties in Saint James. 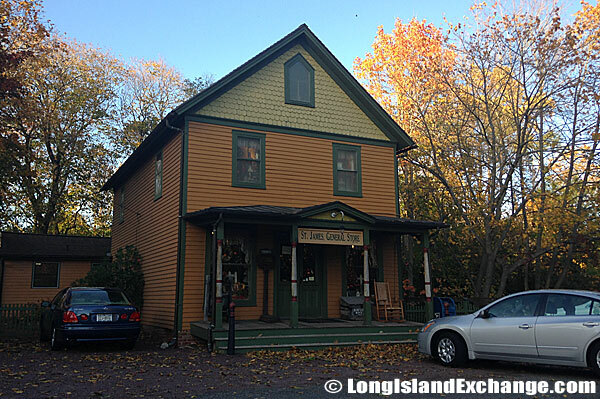 The Saint James General Store, located on the northwest corner of Moriches and Harbor Hill Road, is rich with folklore and history found at the very core of Long Island heritage. In 1854, the U.S. 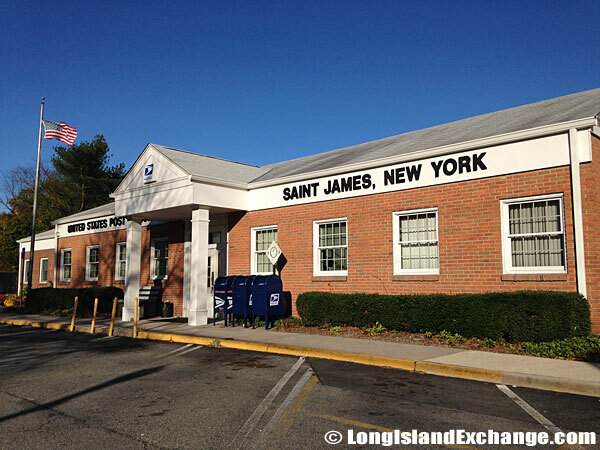 Postal Service established a post office and named it Saint James after the church. Saint James experienced a development boom through the turn of the century giving the area south of North Country Road the nickname Boomertown. 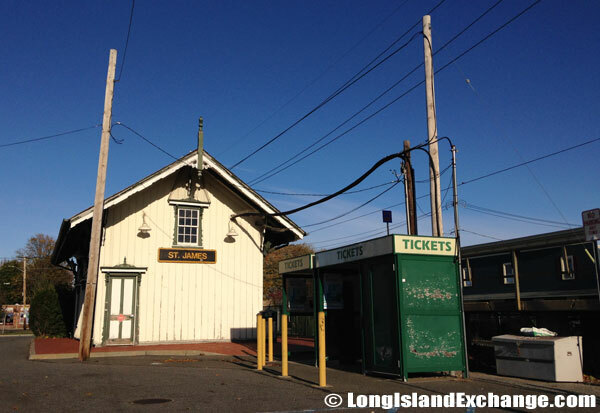 The community grew even faster after the Long Island Rail Road arrived in 1872. During the early 20th century, St. James was a famous vacation spot for glitterati of the stage and screen. St. James residents generally have good earning power. Post Office in Saint James, New York. 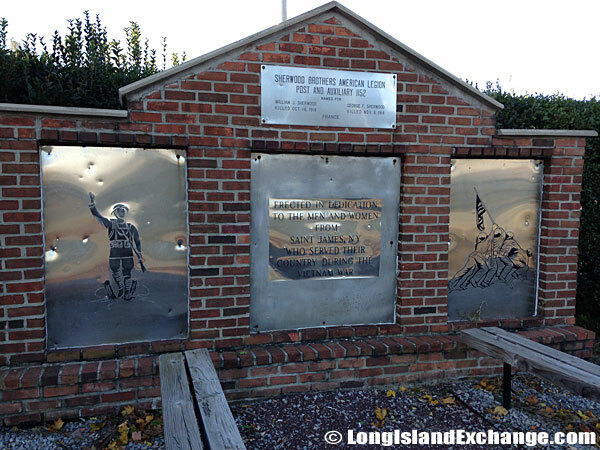 The Saint James Train Station war memorial, sponsored by the American Legion, post and auxiliary 1152; erected in dedication to the men and women from Saint James NY who served their country during the Vietnam War. 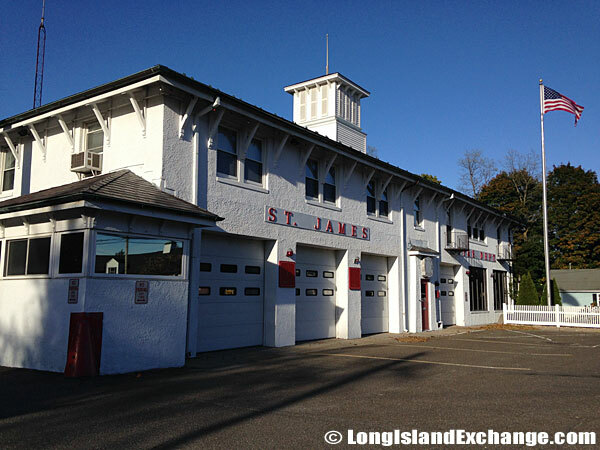 The Saint James historic train station on the Port Jefferson Branch of the Long Island Rail Road. Strathmore Gate Drive, Saint James. The town has a large middle class. Poverty is less common in St. James than most places. This town has lots of successful singles. About 89% of the housing units in St. James are privately owned. The average age of the housing in the town is relatively low and the residents pay higher tax bills for their homes, which generally means better schools and other local services. The ABC show Extreme Makeover: Home Edition took place in St. James in 2005 and was broadcast as the 23rd episode of season 2. Saint James Elementary School, established in 1938. 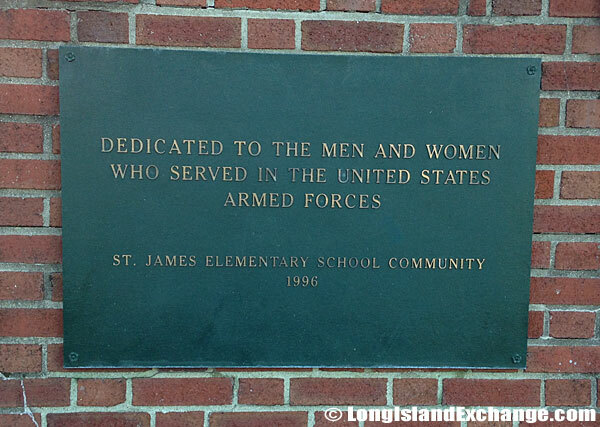 A memorial plaque outside the Saint James Elementary School dedicated to the men and women who served in the United States Armed Forces. Saint James Rehabilitation and Healthcare Center. Many notable residents living in Saint James which include Stanford White (architect), William Jay Gaynor (New York State Supreme Court Justice and Mayor of New York City), Willie Collier (actor and playwright), and Axella Johannesson (musician). There are also summer residents built homes in Saint James such as Lionel, Ethel, John Barrymore, Buster Keaton, Myrna Loy, and Irving Berlin. The racial-makeup of Saint James comprises of 97.36% White, 0.27% African American, 0.05% Native American, 1.24% Asian, 0.01% Pacific Islander, 0.55% from other races, and 0.52% from two or more races. Most of its resident’s were Italian, Irish, German, Polish, and English. The Saint James Fire Department. 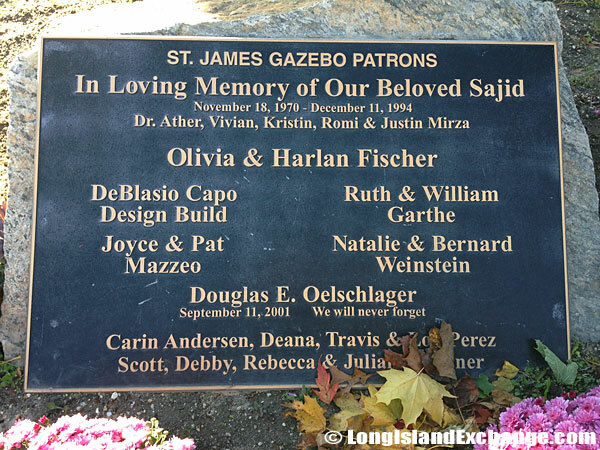 A plaque near the Gazebo across from the historic train station, just steps from the Saint James Elementary School. Gated Community Homes at The Hamlet Estates in Saint James. The community is served by Smithtown Central School District which has approximately a total of fourteen schools and 10,534 students. The district’s educational program provides all students with the fundamental academic skills and basic knowledge required for their maximum educational development. 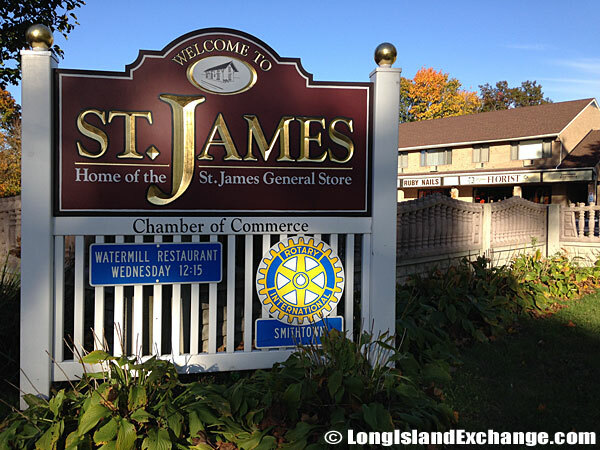 The Saint James-Head of the Harbor area is now known for a large historic district that includes the Saint James Long Island Rail Road Station, Saint James General Store, and Deepwell’s Mansion as well.